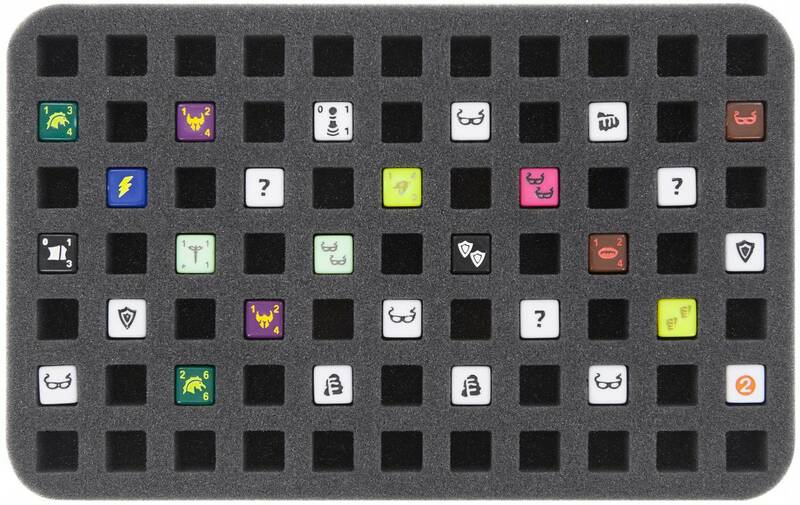 Foam tray with 77 cut-outs (14 mm x 14 mm) for Dice Masters. 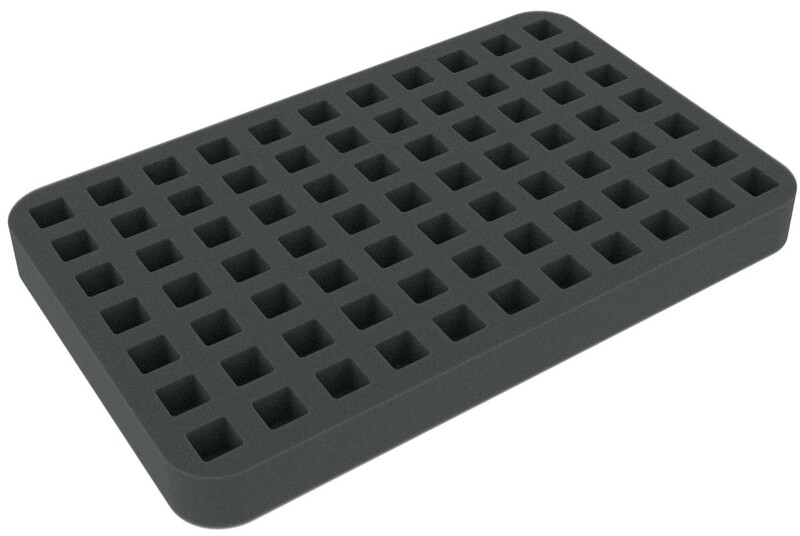 The Feldherr half-size (HS) foam tray has the dimensions: 275 mm x 172 mm x 25 mm height. 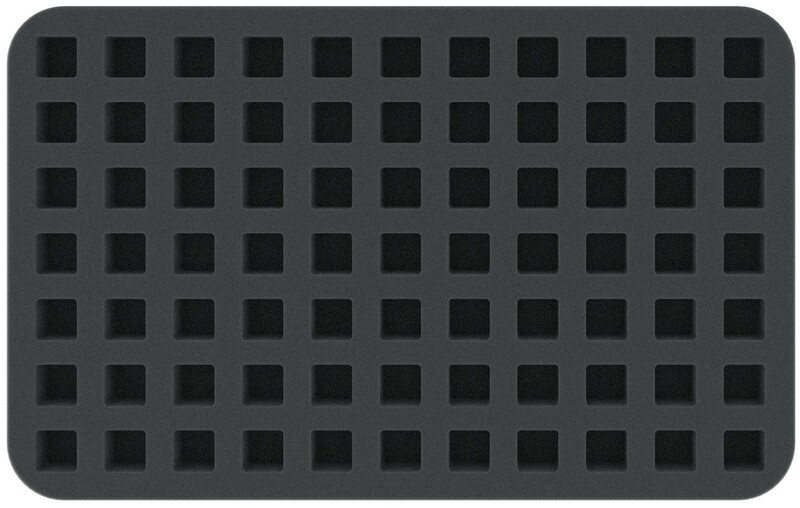 The 25 mm depth of the foam is result from 10 mm foam base and slot foam tray with 15 mm effective depth.